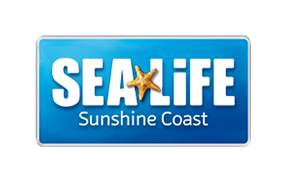 What is a SEA LIFE Sunshine Coast Annual Pass? What is included in my SEA LIFE Sunshine Coast Annual Pass? What do I do if I've lost my SEA LIFE Sunshine Coast Annual Pass? Do I get a discounted renewal rate on a SEA LIFE Annual Pass? What are the Terms and Conditions of the SEA LIFE Sunshine Coast Annual Pass? Can I use my voucher in conjuction with a SEA LIFE Sunshine Coast Annual Pass? Free entry not valid for educational programs, Marine Biologist for a Day program, functions, group bookings or birthday parties (except for Birthday party child). Does not include special guest animal encounters during holidays. Annual passes are not transferable and are valid for 364 days from date of purchase. Renewals must be completed within 6 weeks of the pass expiring. Can I show tickets from my mobile device?